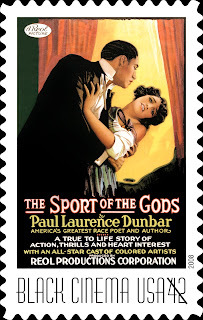 Best known for his poetry, Paul Laurence Dunbar also authored four books of short stories, five novels and a play in his brief time on earth. 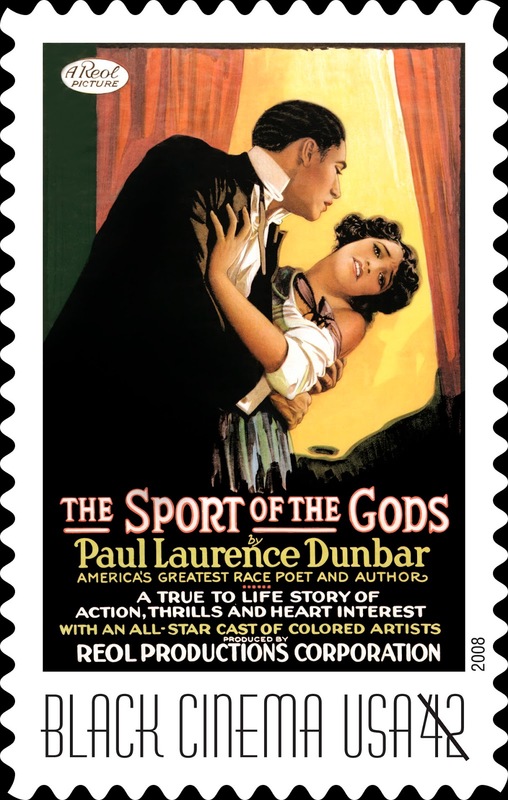 The Sport of the Gods, published in 1902, and made into a silent film in 1921, is the last novel. It's the story of the Hamiltons, a family of black servants in the post-Civil War South. The patriarch of the family, Berry Hamilton, has served the Oakleys faithfully for thirty years. In addition to raising their children, Joe and Kit, Berry's wife Fannie works as a housekeeper for the Oakleys. At age 18, Joe is an up and coming barber in the white shops, while Kit prepares to become a lady. It's safe to say that the family is the envy of the black community. The Hamilton household is turned upside down when Berry is accused of stealing a large sum of money from the Oakley house. Though Berry is innocent, it becomes a matter of the word of a white man versus that of a black man. With Berry sentenced to a life in prison, the remaining members of the Hamilton family are put out of the home they've enjoyed on the Oakley estate. Shunned by both the black and white communities, the Hamiltons are forced to leave town. Making a fresh start in New York, the once highly-esteemed Hamiltons begin their descent into a world that they never would have imagined existed. I've read poems by Dunbar, so I was familiar with his work in that genre, but this was the first story that I've read by him. The writing is so fresh and contemporary that I had to keep reminding myself that it was published in 1902. I was absolutely blown away by it. It's not necessarily a dislike, but the characters do speak in the dialect of the time. At times, that made it difficult to decipher what they were saying, but it could still be figured out by sounding out in my head or saying the words aloud. At just 118 pages, it was a really quick read, but I would have been more than satisfied with additional pages. I'm interested to know what happens with the family beyond what was written. Oooh this sounds VERY promising. & the fact that I can download it for free to read is just a win! Guess I know what I'll be doing today @ work, haha! Thanks J. I hope you enjoy it as much as I did. Just realized I forgot to rate it, lol. So I finally had a chance to finish this today, despite many interruptions at the 'tation today. Loved it just as much as you did. I too had issues w/ the dialect only because it wasn't as straight forward as Zora Neale Hurston's usage of dialect. I found myself saying words aloud (& probably sounding a bit weird to my coworkers) fairly often. I actually wouldn't mind seeing a modern interpretation of this in film form once again. I'm nervous that it'd be done by Tylah and renamed Diary of a Mad Black Sporting God Who Can Do Bad By Hissef or something equally silly, ha! I really want to see the original film, but I've looked all over the net and no one seems to have it. It would be great if TCM would dig it up and show it one night. I guess if they didn't show it during Black History Month, they probably never will. I'd like to see the original as well. According to the googs, it's a silent film. I think that'd be an interesting format to view this story in. Heidi Durrow & Terry McMillan, Live Tonight! Way Back Wednesday: What Did You Read As A Teen?